#1 OUTDOOR GAME IN EUROPE! 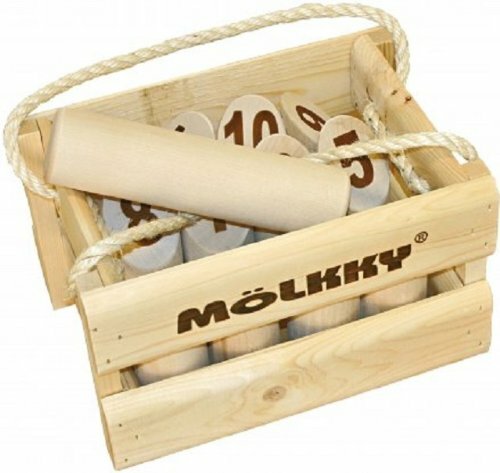 Molkky is an outdoor game based on a combination of chance and throwing accuracy. All you need is an outdoor space - a backyard, park, or a football field - a few friends, and a set of Molkky pins. The first player to knock down 50 points worth of wooden pins wins the game! Comes with wooden carrying crate. The #1 outdoor game in Europe! A combination of luck and skill are the components needed to win this entertaining game! If you have any questions about this product by Tactic Games US, contact us by completing and submitting the form below. If you are looking for a specif part number, please include it with your message.